Do you have an older PC or laptop laying around just collecting dust and not sure what to do with it? You could sell it, but not get much for it. Here we bring you a guide on how to bring it back to life. The rate at which computers are improving these days, you buy a machine and in 2-3 years it’s already considered old or obsolete. As prices come down on more advanced and faster hardware, it can be easy to just buy a new machine to get “the latest greatest”. But what about the older machine? You could sell it, but probably won’t get a whole lot for it. Here we take a look at several ways you can breathe new life into those older machines you have laying around. This guide will cover different methods including upgrading hardware, reinstalling Windows, and installing light versions of Linux. If you’re willing to spend a few bucks on some hardware upgrades, you can make your old machine run with more snappy. Before making any changes to your hardware, make sure you backup your system first. 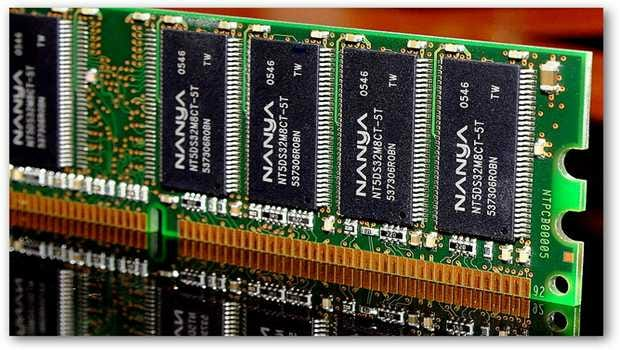 The easiest way to add better performance to an older machine is to add more memory. Not sure what type of memory you have installed? Check out our article on how to find out the kind of memory your computer has. Another way to improve a computer’s performance is to upgrade the video card, especially if your motherboard has integrated graphics. You will need to know the type of slots that are on your motherboard (PCI, PCIe, AGP…etc). 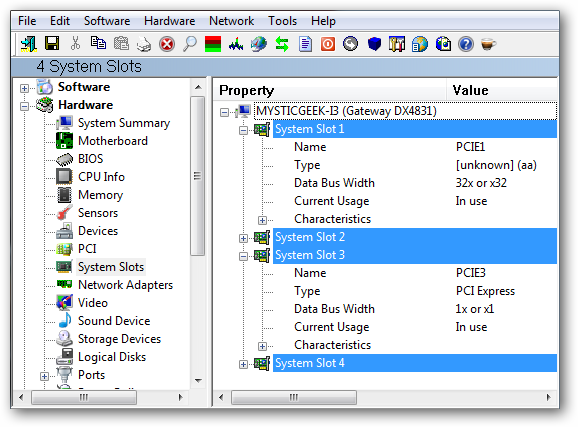 If you aren’t sure what type of expansion slots you have, we can use the utility SIW which is free for personal use. 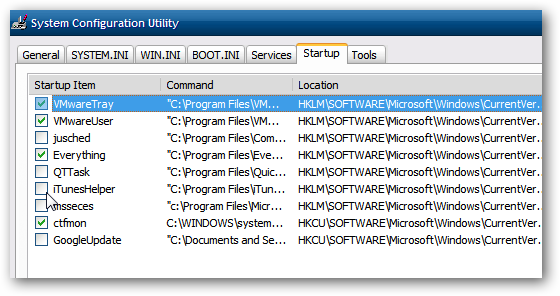 You can also check out our article on how to get detailed information about your PC which shows other free utilities similar to SIW. 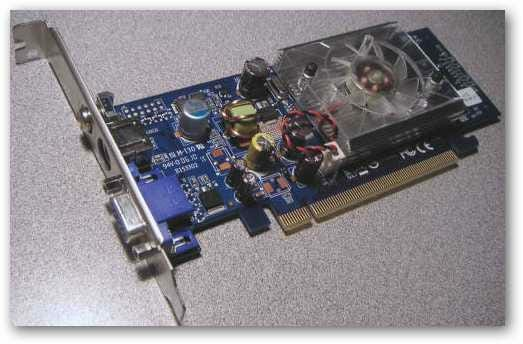 If you have a machine that is 5 years old or more, you can find a graphics card relatively cheap online. You certainly don’t need to buy a $500 latest greatest card by any means (in fact your old PC probably won’t be able to use it). If you search around, you’ll be able to find an affordable new or used card that will bump up your graphics performance. Another way to improve performance is to install a larger and faster hard drive. 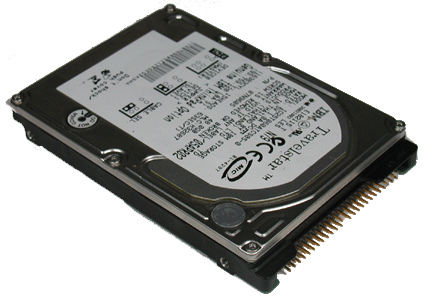 In a lot of laptops the hard drive is 4200RPM, you can upgrade to a 5400 or 7200RPM drive that should improve read/write performance. You might also have that older 40GB hard drive filled to capacity…larger drives are really falling in price so doubling the capacity is an option as well. If you have a dead hard drive on your old system, check out our article on how to use an Ubuntu Live CD to recover the files. If you’re an advanced user and want to get really geeky, you could always upgrade your Desktop CPU to a faster one. Keep in mind though that this is more complicated and you’ll need to figure out what CPUs are compatible with your current motherboard and chipset. For more on finding the right hardware and how to install it, The Geek has a great 5 part series on building a new computer. Reading through the series will help you better understand hardware, finding correct drivers, and how to install it. After years of installing and uninstalling programs, playing games, and just everyday use of your computer, Windows starts to slow down. It will happen even if you do regular maintenance like Using Disk Cleanup, defrag your hard drive, and clean your system with utilities like CCleaner. Note: Before doing a reinstall of your OS make sure you backup your important data! Windows does allow you to reformat the drive, but if you really want it cleaned try out the free DBAN utility. 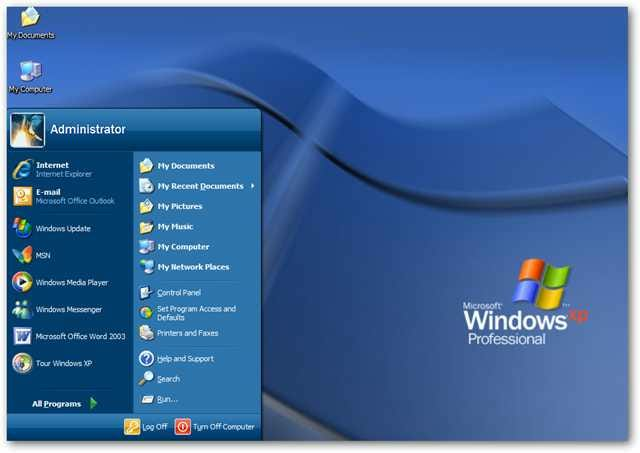 When you do a fresh install, you’ll be surprised how much faster the system runs, especially with XP. Of course after you start installing more software it will start to be less snappy, but will be much faster than it was. If you re-install your OS from the backup discs that came with your PC or use the protected recovery partition, it will also install any Bloat-ware that came with it. There is no reason you need to have Norton 2005 or an Office 2003 trial and everything else they try to stick on there. 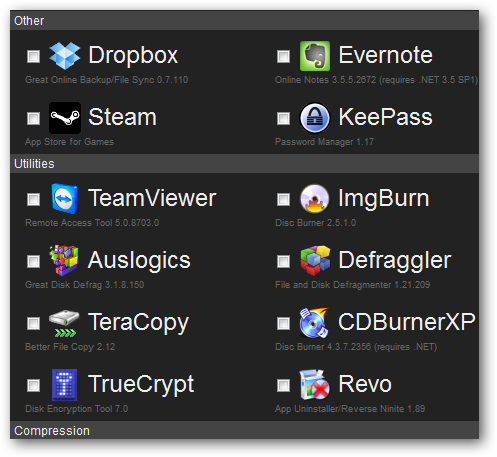 A good start to get rid of it is using a free utility like PC Decrapifier. 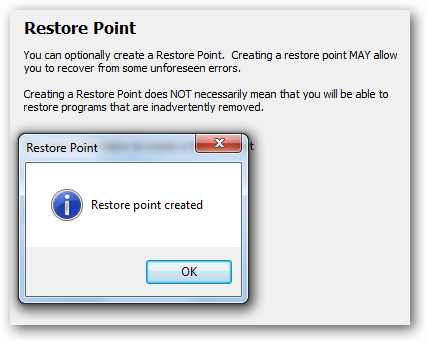 When using it make sure to use the option to create a Restore Point in case something goes wrong. 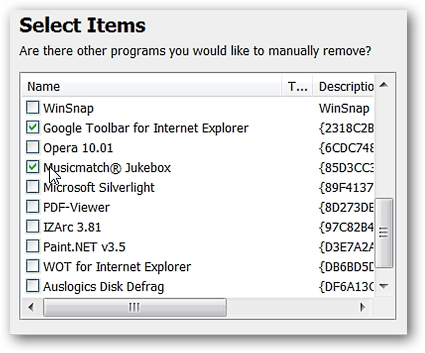 Then select the junk to get rid of. 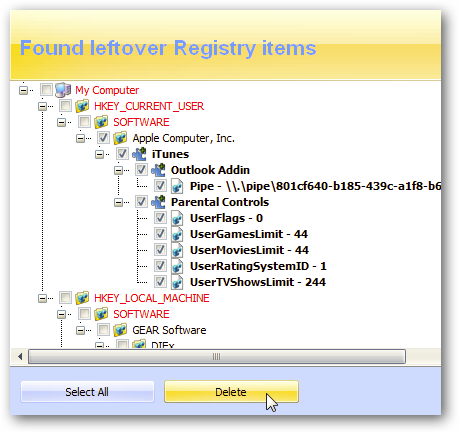 If that doesn’t get rid of everything use Revo Uninstaller Pro to manually remove the rest of the junk. You can use the Pro version for 30 days then purchase a license, or stick with the free version. After you reinstall your OS try out free and Open Source lighter apps and utilities versus the bloat-ware that came with your system. Our favorite services for installing the more popular free and Open Source apps without any crapware is Ninite. Not only will this let you choose different free apps without the crapware, Ninite also makes installing new software incredibly easy. Then to make sure unnecessary apps aren’t trying to start during boot up, make sure to go into the System Configuration Utility and uncheck what doesn’t need to launch during startup. For more tips on doing a reinstall of Windows take a look at our Checklist Guide for Reinstalling Windows. 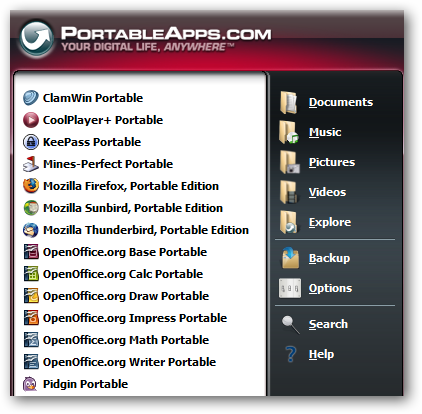 If you don’t want to install a bunch of new software on your old machine, you might want to take a look at Portable Apps. These will run from your USB flash drive and don’t require installation. Your data can also be saved to the flash drive as well and not clog up your local drive. 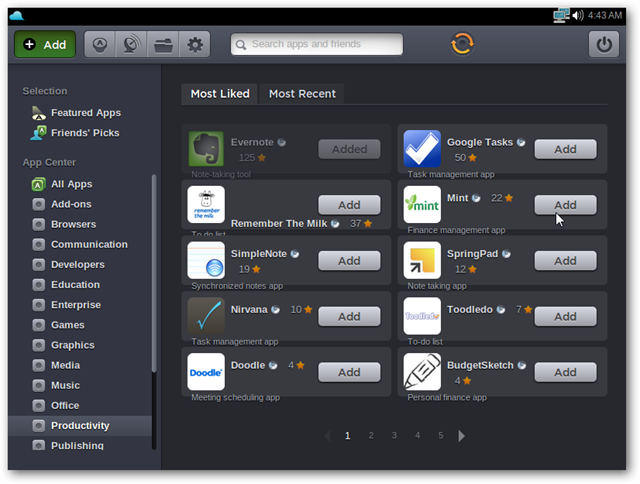 Plus you’ll have the added benefit of bringing your favorite apps with you to any machine. If you have an older laptop laying around and it’s running XP and doesn’t have the power to run Windows 7 in a reasonable way, check out using Puppy Linux to add life to it. The download is only 130MB and it will run pretty much any machine from the past 15 years. The minimum Requirements are a Pentium 166MMX CPU and 128MB of RAM. In our example we installed these light versions of Linux on an older IBM ThinkPad G40 with a Celeron P4 2.0 GHZ Processor with 512MB of RAM. Since every machine is different, you may find problems getting the correct drivers…especially Wi-Fi but overall they did a good job, are portable, and run extremely fast on older hardware. The cool thing about Puppy Linux is that it runs in RAM from a Live CD or USB install. So even if you have an old computer that has a broken hard drive or no drive at all…you can use it. It’s extremely fast and has all of the apps you would need like PDF Viewer, Chat, Email, Web Browsers, AbiWord for document creation…and more for basic users. 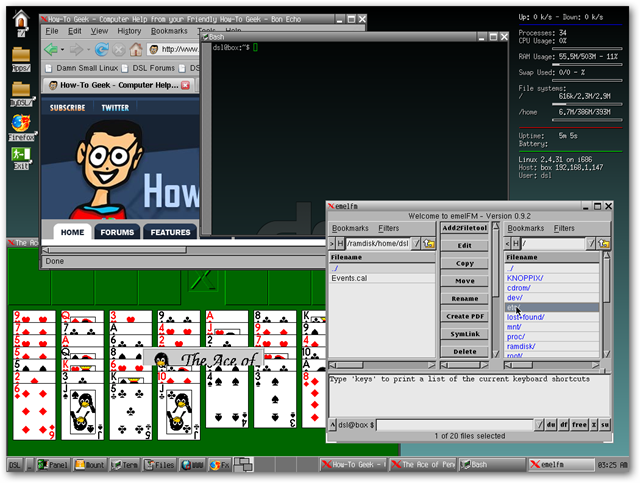 It also has a lot of advanced features that advanced Linux geeks would love to tinker with. If you have an older machine and want to install it to the hard drive as the main OS you can do that too. DSL is another light Linux distribution that is small in size and won’t bog down your machine. 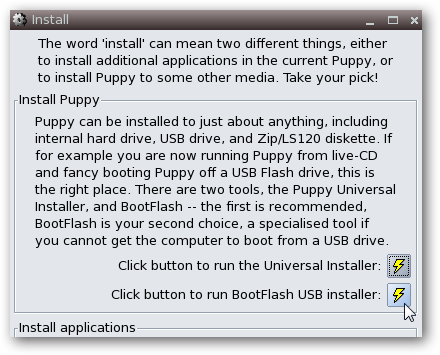 Like Puppy Linux you can run it from a Live CD, flash drive, even install it inside Windows. 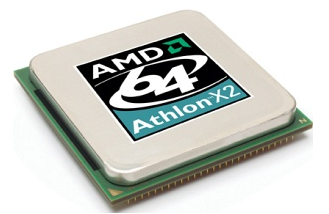 The OS is a mere 50MB in size and can run on machines as far back as a 486DX with 16MB of RAM! If you want something that looks more modern and includes easy access to the features you love such as Chat, Email, and Social Networks…another good choice is to install Jolicloud which we previously covered. They recently announced the official 1.0 version and while it takes more resources than Puppy or DSL, the system requirements are low, and using it can be a lot of fun. You can either run the Express Installer which will run Jolicloud alongside Windows, or from a CD or USB flash drive. It’s a cloud based OS and has a lot of features. It comes with quick links to YouTube, popular social networks, productivity apps, and an App Directory with over 700 apps to choose from. So no matter what you might need it should be available. 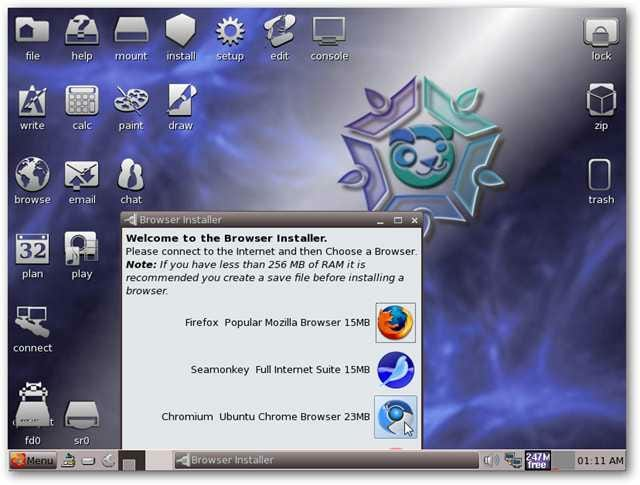 Although they advertise it as a Netbook OS, it can also be used to bring new life back to your old computer. Whether you bought a new computer to update to Windows 7 or have a Laptop laying around but don’t want to get rid of it, these tips will help you bring the old machine back to life. 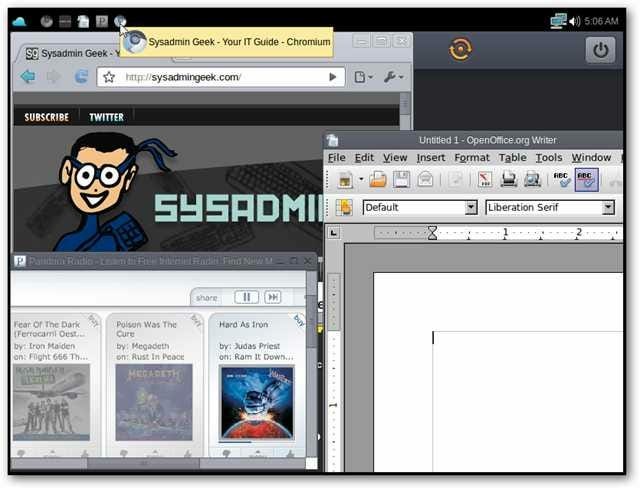 It also gives you a chance to try your hand at Linux and other free apps. If you have an old PC that is just too old and slow to do anything with, and have no choice but to get rid of it, make sure to dispose of it responsibly.